It hooks you from the first scene! Daredevil is a beloved superhero in Marvel lore. Comic book fans called him “Marvel’s Batman” which is one of the reasons for the character’s popularity. Netflix announced two years ago that they, Marvel Television, and ABC entertainment will be producing shows about Iron Fist, Daredevil, Luke Cage, and Jessica Jones known as the Defenders. Fans were delighted by this news especially after Daredevil announcement. Daredevil is not only a superhero show that will lead to something meaningful like a team up but a well made crime drama. The pilot opens with Matt Murdock, Daredevil, being blinded by chemicals as a child. He is a newly practicing defense attorney with his partner, Foggy Nelson. Nelson gets word of a woman named Karen Page being suspected of murder. Murdock with his super senses can tell Page is innocent, and he and Foggy will defend her. Karen tells them that she stumbled on suspicious numbers while performing her job as a secretary for a construction company. She doesn’t realize that she dipped her toe into a much polluted ocean full of murder and corruption. There are several reasons why you should watch this show. First, it is a superhero show but really doesn’t feel like it. 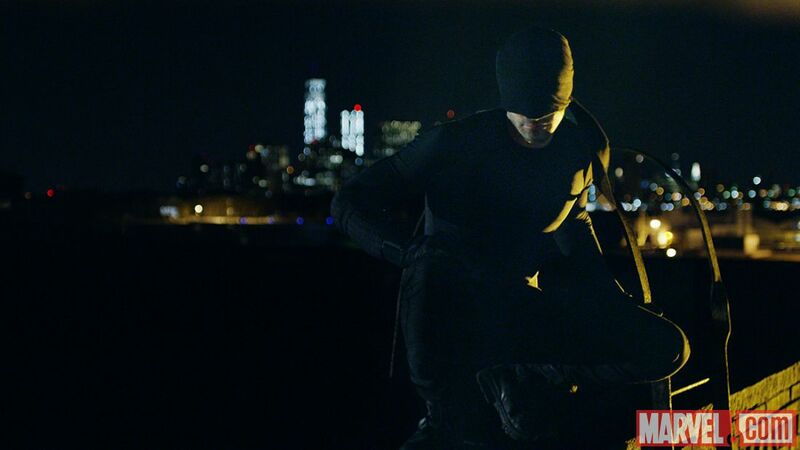 The storyline of Daredevil feels like a complicated, dark, and realistic crime drama. Secondly, the acting is great. Charlie Cox, Deborah Ann Woll, and Elden Henson are the main cast. Cox plays Matt Murdock and plays a charming lawyer. He also made a good Daredevil. Woll plays Karen Page and displays her a lot emotion in her character. She will be a nationwide name sometime in the future. Henson plays Foggy, Murdock’s law partner, who is funny but honest. He realizes that he and Murdock need to make money and can’t play charity to everybody. Finally, the stunts and effects are amazing. The fights with Daredevil are sometimes in slow motion to make viewing audience hear and feel what Daredevil experiences when he fights. The fight choreography is amazing. Daredevil broke someone’s knee cap in the pilot. This show is not for kids..FYI. Overall, I can tell this will be one of the best superhero shows on television. The storyline is intriguing and the characters display emotion and charisma. The show also mentions how the corrupt profit from the heroes punching people through walls. Daredevil’s pilot gets a 4.5/5 out from me. Daredevil can only be streamed through Netflix; however, I suggest you watch the first episode and give it a try.